Sleek, self-winding and styled to tick on time with a built-in rotor, the Grant does the work for you. 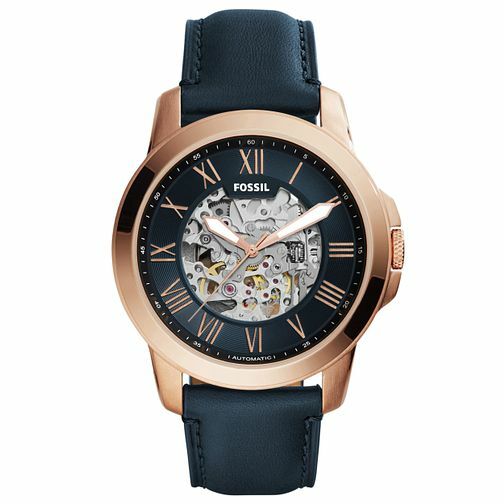 This timeless automatic gets refreshed for the season with a refined blue dial and rich leather strap. The automatic movement features a built-in rotor that’s powered by the motion of your wrist – no battery required. If your watch stops ticking, simply turn the crown clockwise until you feel some resistance.